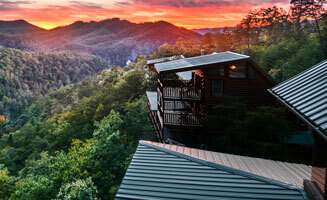 Several times throughout the year, the cool misty mountain air is pierced with the roars and rumbles of classic cars and contemporary showpieces. Pigeon Forge car shows draw enthusiasts from all corners of the southeast and beyond to participate in the hobbies that they love most. One of the most active and passionate of these hobbyist groups are our car clubs and car show organizers. When are the Rod Runs? Click below for the complete 2019 car show calendar. In 1967 the Cooper brothers of Knoxville opened their corvette center in a 4 car garage with the main focus of repairing, painting, & customizing these incredible vehicles. 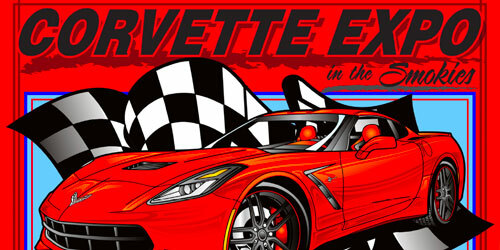 A decade later, the Corvette Expo was born. The 35th anniversary of the event in 2012 made it the longest running corvette event in the nation continuously operated by the same owners, and was inducted into the Bloomington Gold® Corvette “Great Hall”. Ponies In The Smokies is an event run by T5 Productions that celebrates the Ford Mustang. Described as a "multi-day Mustang based event within the backdrop of The Great Smoky Mountains", Ponies In The Smokies is becoming one of the more popular rod run events of the season. 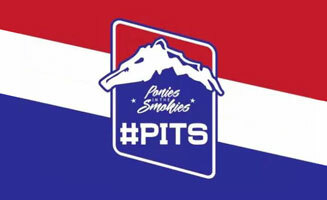 Check out our exclusive interview behind the scenes with Ponies In The Smokies! The biggest Pigeon Forge car shows (formerly called the Grand Rod Runs) usually happen every year around April & September. If you plan to come to Pigeon Forge on a weekend of a car show not knowing, you may be a little overwhelmed by the hundreds of classic cars lining the parkway. The top cars will compete for the best-looking in each class, the best performance and other specialty categories. Each year the Chevy Classic Roundup includes over a hundred vintage 1955, 1956, and 1957 Chevrolets on display. Looking for that hard to find part for your own project vehicle? Visit vendors row for a wide variety of parts and technical support. Model car contest for kids, food, music, etc. Join the fun at The Inn at Christmas Place. This car show has been happening for well over ten years. If you want to see some of the most gorgeous Pontiacs around, be sure to check the Rod Run event schedule for the latest announcements on upcoming shows. 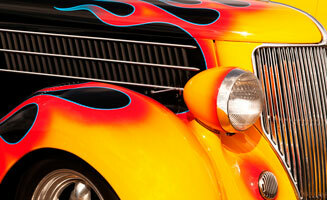 This summertime car show is usually held at Music Road Resort, a great place to cool off amidst those sunshiney days. Built on the heritage of the Willys CJ of the past, the Jeep Wrangler has grabbed the torch from its AMC/Kaiser cousin and kept the legacy burning bright. 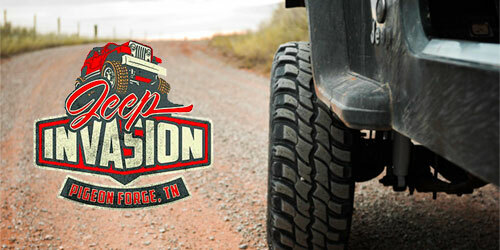 In celebration of this continued birthright, every year hundreds of Jeep Wranglers descend upon Pigeon Forge for a day of exhibitions and a group ride through the mountain passes. Top registered Jeeps are awarded a trophy. Expect to see new Jeeps, rare editions and even a few vintage WWII Willys models that keep trucking on. Vendors for parts, accessories and outdoor products will also be at this year's Great Smoky Mountain Jeep Invasion. Proud owners of hand-built hot rods tragically have to keep their babies under wraps and in garages most of the year. Events like Shades of the Past give them an excuse to come booming down the mountain highways for a weekend of fun. Classic cars like the Ford Model A sit alongside custom sheet metal hot rods and muscle cars from the 1960s for a dazzling display that might just make car lovers’ eyeballs fall right out of their head. If you love classic cars, then you’ve probably been to or heard of the famous rod run shows taking place in Pigeon Forge during the month of September. The participants in these car shows are so eager to get the weekend started that the parking lots of hotels on the Parkway begin to fill with classic cars on Tuesday of that week. 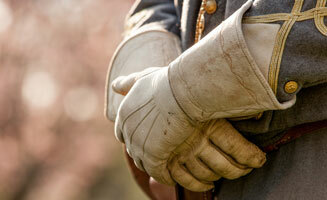 Through the weekend, visitors can enjoy interactive displays presented by vendors from all over the country. Rod Run folks love to book hotels and condos that are on the 2nd floor or higher. Why? For optimum car viewing. Our advice for going to a Pigeon Forge Rod Run can be summed up in just a couple words: DIVE IN. 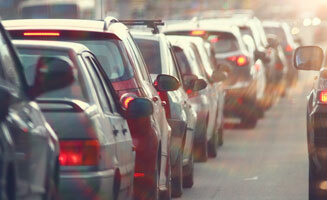 Be mentally prepared for terrible traffic. Let your cares go, and make friends with the people in the car next to you. Make the effort to park somewhere and walk. No matter where you park, you are guaranteed to see hundreds of great cars, and you will find yourself swimming in a sea of great restaurants. Folks are in a fun place on vacation, so be prepared to see just about anything! For the latest information and dates for Pigeon Forge Rod Runs, check out PigeonForgeRodRuns.com and follow us on Facebook for updates.